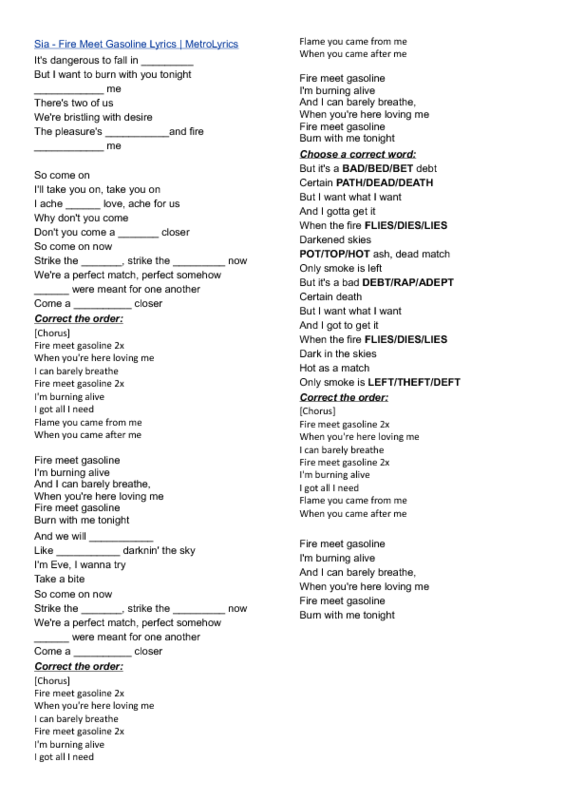 Song worksheet for pre-intermediate/intermediate students who like Sia or pop-music. 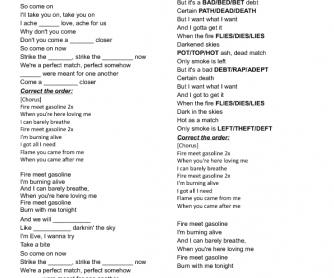 My students wanted me to do this song worksheet and now I want to share it with you. There are easy exercises - fill in the gaps with correct word, correct the order of sentences in chorus and choose the correct word.